"We live in the beautiful mountains of west central Idaho where we manage a church camp. Needless to say we do a lot of cooking and have lots of recipes. 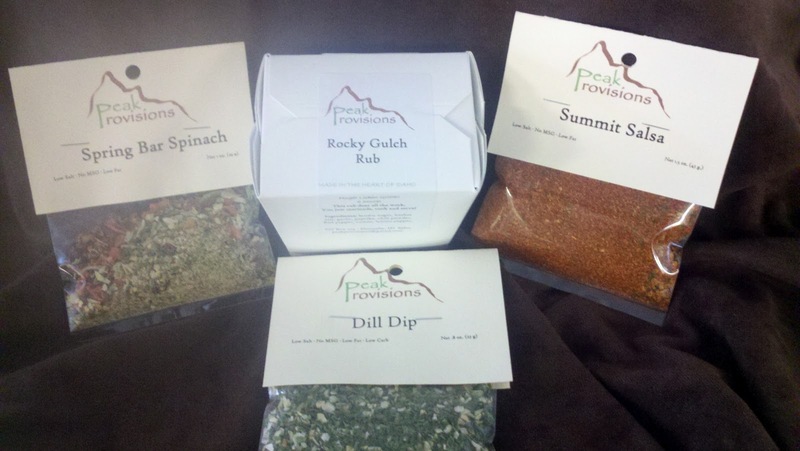 Seven years ago we bought and expanded Peak Provisions. From humble beginnings we currently have 13 dips and 4 meat rubs We continually try to develop new products in keeping our standard of natural ingredients with no preservatives or additives, and all of our products are gluten free…… So keep watching for new products. You might wonder about all the names of our products. We live in the mountains and the names are of places around the area or have mountain flair to them. " 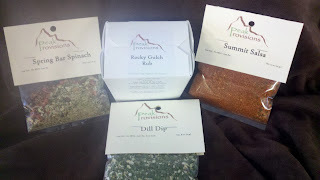 or email them at peakprovisions@gmail.com.